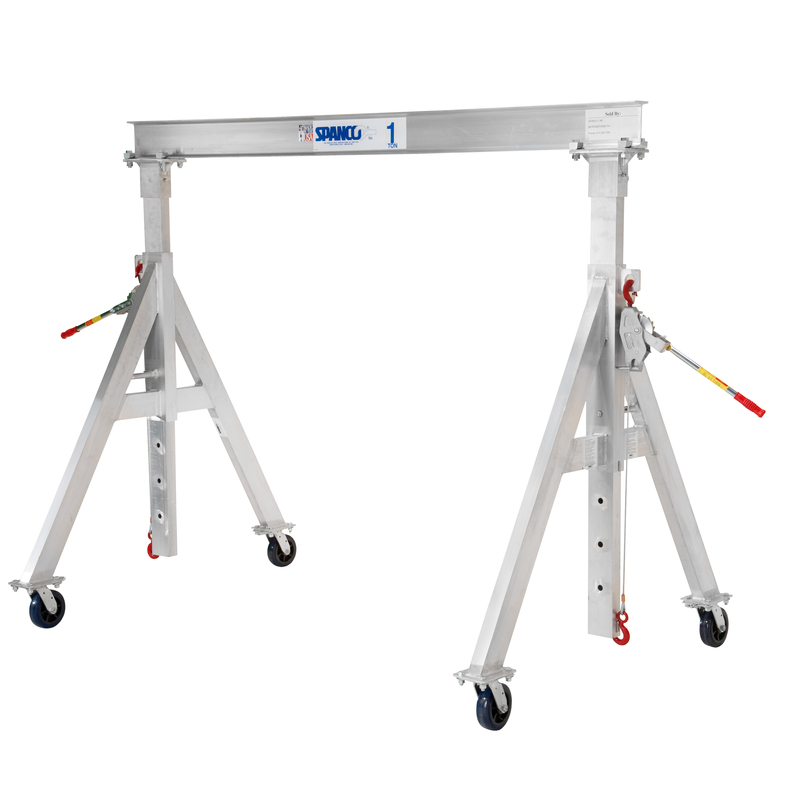 Spanco A Series Aluminum Gantry Cranes are portable, lightweight, low-cost lifting solutions with sturdy "A" frame designs. Weighs as little as 116 pound, making them ideal for fast crane relocation. Designed to easily fit into or on most service trucks. Crane height adjusts in six-inch increments, using spring-loaded steel locking pins that automatically engage when height positioning holes are reached. Adjust heights for specific lifts, uneven floors, or to move through doorways. Adjustable spans standard on aluminum crane. Allows crane to be shortened for transport down narrow aisles. Moveable with a suspended load. Heavy-duty casters have four-position, swivel-lock casters with molded polyurethane wheels for excellent floor protection. Alternative caster style & wheel brakes available upon request. Height adjustment winch-hoist kits includes two LUG-ALL cable winch-hoists to quickly and easily change I-beam height. 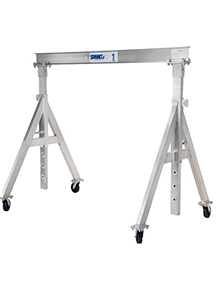 Note: For use only on Spanco A Series Steel or Aluminum Gantries under no-load conditions.